Julia Roberts eats here in “Eat, Pray, Love.” I never saw the movie, but the owner isn’t too modest about this fact, hanging her picture on every wall. They have the simplest menu I’ve ever seen. It’s like the scene in “My Cousin Vinny” where Joe Pesci’s handed a menu and it says “Breakfast. 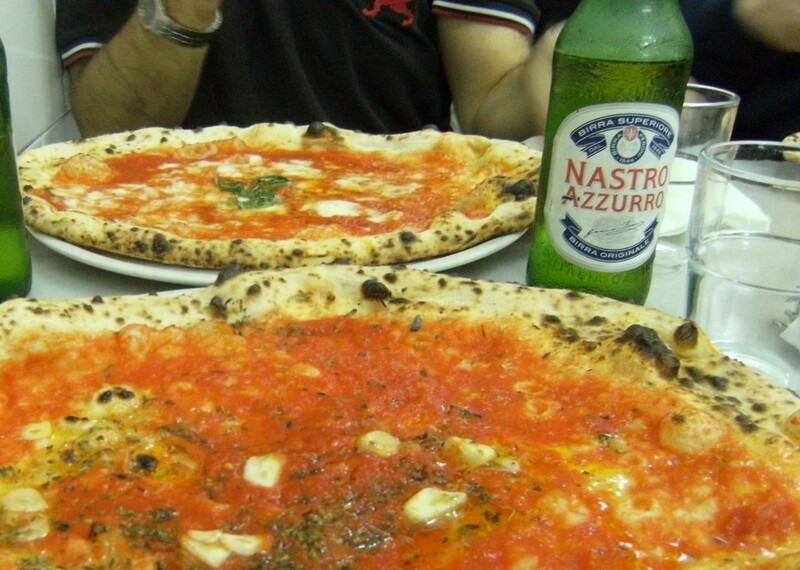 Lunch.” There are just two pizzas at Da Michelle: marinara and margherita. The pizzaiolo doesn’t put any “junk” on the pizza. And he gets away with it because the ingredients hold their own. On the menu, he prints exactly what goes in the crust, almost like a dare for you to make one better. 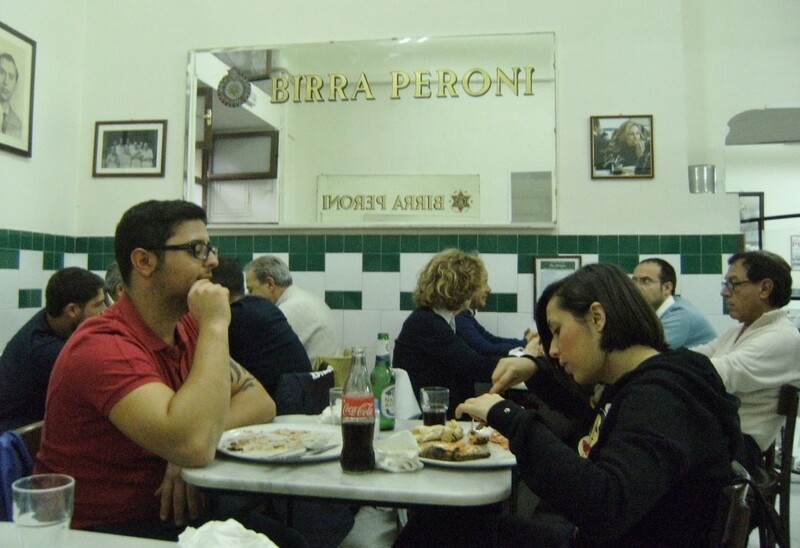 The place is crowded and the seating family style. I share a spot with a man from Naples, who has a daughter at the U of A, and a couple from Deerfield, IL where my uncle and his family live. The man graduated from the CIA (Culinary Institute of America, not Langley). When they hear I’m from AZ, the couple immediately asks how the pizza compares with Pizzeria Bianco. I say the tomatoes, oregano, and olive oil here are so fresh they might be better, but I think I like Bianco’s crust more. Renamed after President Clinton ate here. 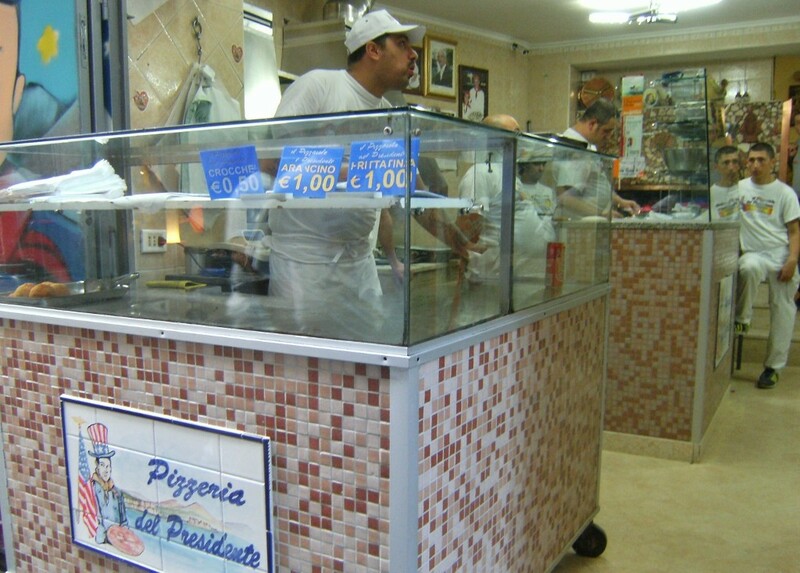 You can order off the street and watch them make you a fresh pizza in about a minute. The pizza is good and cheap. A euro cheaper than Da Michelle. Come here if you want something more than cheese on your pizza. 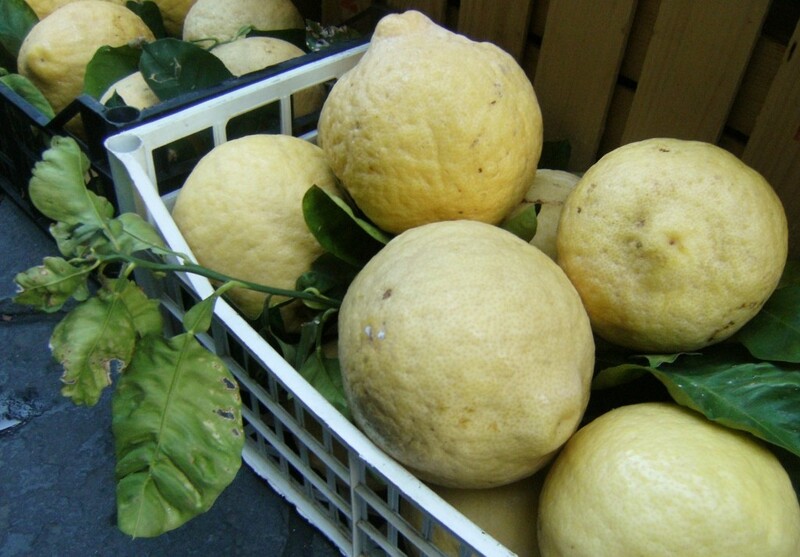 The lemons from Sorrento are the size of melons! Ok, maybe grapefruit. 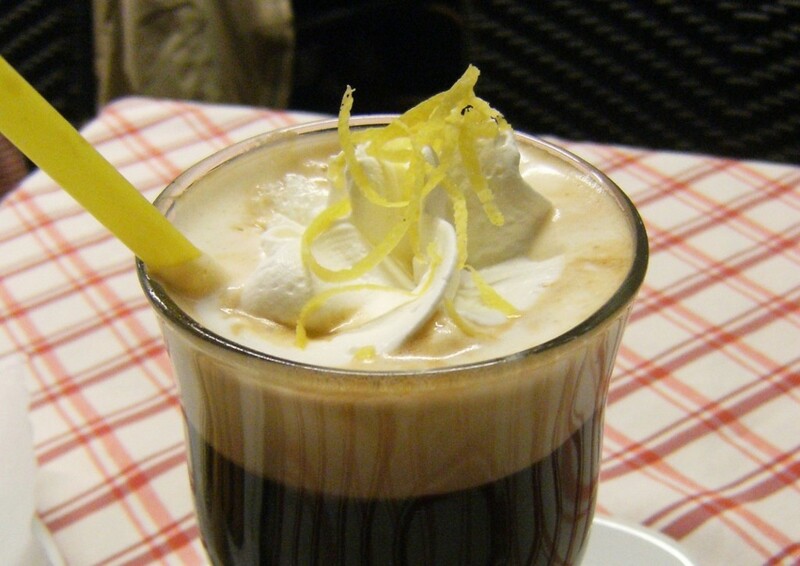 Regardless, they make great limoncello, a thick lemony liqueur you sip after dinner. 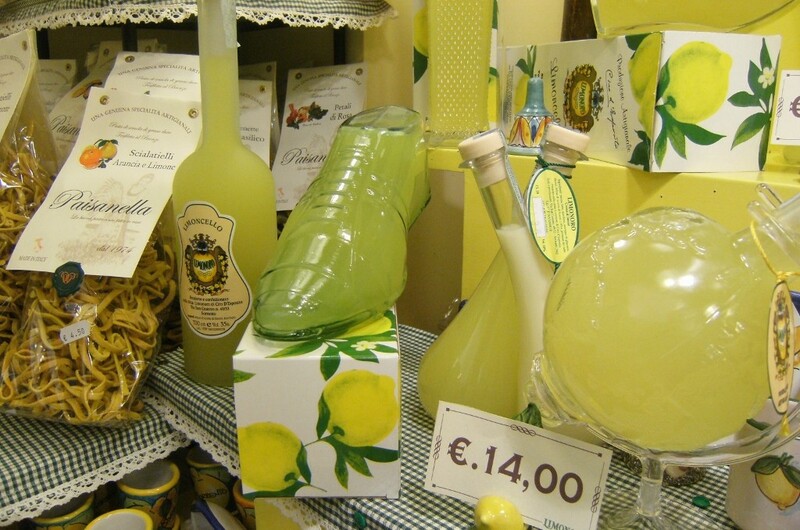 You can find limoncello sold in all sorts of glass receptacles from dress shoes to baby cellos. And they put it in other drinks and desserts. 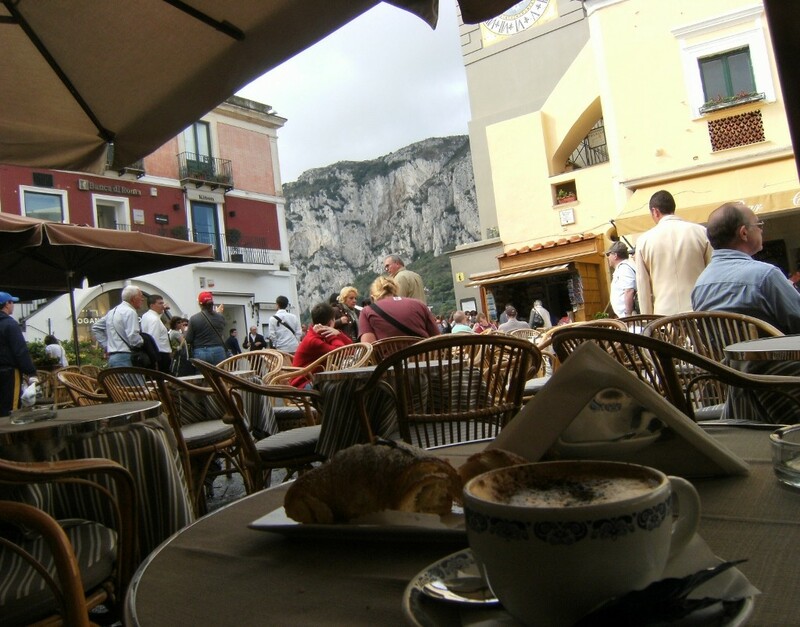 There are a few cafes in the Piazzetta, but they’re a little pricey and nothing outstanding. 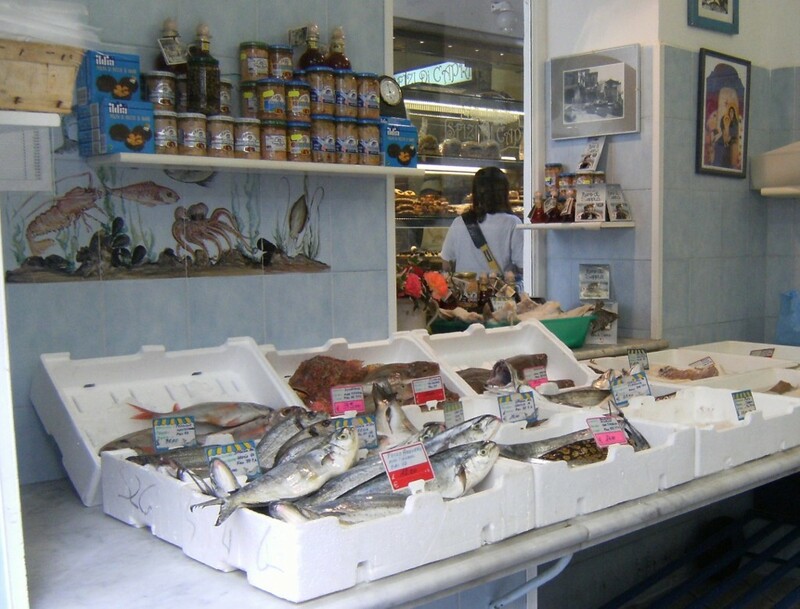 There’s a little grocery store and some food shops east of Piazzetta where you can pick up stuff for a picnic.